Trumps has been producing quality foods in Brisbane since the 1930s. 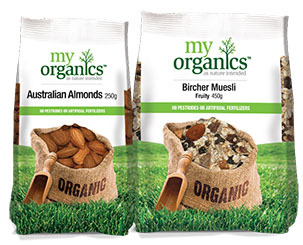 Owned by the Dart family, they are passionate about providing healthier food choices, and the MyOrganics range is testament to this passion. The range go through strict organic purchasing and packing requirements to ensure they are 100% organic from the farm to your pantry.